Rarely has a book impacted me on such a visceral level as Jon Krakauer’s Where Men Win Glory: The Odyssey of Pat Tillman. While reading it, my heart was palpitating and my insides were roiling with dread to the point it gave me a stomach ache. I finished the book weeks ago but it’s taken me this long to fully process its effect on me. As the subtitle says, this is the true story of the former NFL player who famously turned down millions to enlist as an Army Ranger after 9/11, only to be killed by friendly fire in Afghanistan. That alone is devastating enough, but another tragedy occurred afterwards when the truth about his death was knowingly kept from his family and the American public for weeks while he was used as a poster boy to bolster support for the war. To this day, the Tillmans don’t have all the answers. Depending on whom you ask, everyone from high-ranking Army officials to top members of the Bush administration either engaged in a cover-up or made a series of phenomenally stupid mistakes. Why did a lieutenant colonel send a fellow Ranger to Tillman’s funeral to lie to the family when the Army already had conclusive evidence of how he died? Why did a captain order a young sergeant to burn the uniform and body armor Tillman was wearing when he was killed, plus a journal he kept in his pants, when protocol dictated the clothes be left on the body for forensic examination? You can decide for yourself if these and many other actions were sinister or simply boneheaded but either conclusion is greatly disturbing. Krakauer’s research included trips to Afghanistan, interviews with Tillman’s family and thousands of redacted documents generated by numerous investigations, but the most striking details are in excerpts from Tillman’s own journals. (Krakauer received access partly because Tillman had a copy of the author’s Eiger Dreams in his backpack in Afghanistan.) They reveal a conflicted, imperfect but highly principled man who was constantly striving to better himself and the world around him. After returning from a tour in Iraq, Tillman had opportunity to be honorably discharged and go back to playing football for millions of dollars, but he turned down the offers because he had given the Army a three-year commitment. Despite his growing disillusionment with the war in Iraq, he wouldn’t even consider breaking his word. Glory isn’t all good. Krakauer takes too long in the beginning detailing the history of the Taliban and how al-Qaeda was formed. I had no interest in reading about Osama bin Laden’s rise through the ranks; I picked up this book because the cover said The Odyssey of Pat Tillman. As long as Krakauer stayed focused on his cover subject, he had me by the throat. I was holding my breath and white-knuckling the book during the recreation of the firefight in which Tillman was killed. As with his previous works, the author has the uncanny ability to put the reader right in the thick of the action. When he recounts another battle in which U.S. planes dropped bombs on Marines they mistook for enemies, killing 17 friendlies within minutes, Krakauer practically gave me PTSD. But the reason to read Glory is to get the real story behind the complex man who was reduced to war propaganda in the aftermath of his death, something he actually feared. Tillman wasn’t just a jock; he studied philosophy. He wasn’t a blind idealist; he knew what evil could do but tried to fight it anyway. He couldn’t be swayed by money and therefore was almost incorruptible. He made me re-evaluate my own values: How hard do I fight for things I believe in? How much am I willing to sacrifice for the good of others? Do I attack all injustices head-on, or do I sometimes turn a blind eye for the sake of convenience? I was still pondering these questions as I wept, thinking about what more this man could’ve accomplished if he’d had more time. But then I realized he’s still spreading good in the world by inspiring readers like me to be warriors in our own lives, every day, however many we have. An absolutely splendid review, Elyse. You’ve captured many of my own thoughts and feelings towards this book, as well. I couldn’t agree more with this. This book, and your review, were well worth waiting for. Thanks for this, and for letting me know that this book was coming out this year, PCN. Thank you, PCN. I feel I must add this to The List, in spite of the sadness. It was on my stack of to be read anyway, but it’s always good to know your candid thoughts on the book rather than some of the usual blather that I’ve read about this story. This is one of the best reviews I’ve read of this book. A lot of reviewers focused on the politics and the military and whatever, but you mentioned how it affected you and that’s quite an effect. I wasn’t really interested in reading it before but now I am. Thanks, PCN. I was wondering when you would be reviewing this. Glad you did. Now I’m sure to buy it. I second what le0pard13 said. This is a splendid review, PCN. I vaguely remember news stories about Pat Tillman but don’t recall details. I want to read this now because he sounds like he was an amazing guy. In this day and age, we need more people to inspire us. I’m so conflicted on this book. I want to read it; fell I need to read and yet I know I’ll be a different person once I read it. This is an amazing review, though PCN. Thank you so much. I think it will change you, Jen, but in a good way. I could almost feel something inside me shift. Pat Tillman didn’t just live every day to its fullest, he attacked each one with fervor and never backed down from any challenge. He made me want to be braver and not waste any time. Great review! I think you covered it. However, I enjoyed Krakauer including the history of Osama bin Laden’s rise to power since this might have been the sole reason Pat Tillman joined the US Army. 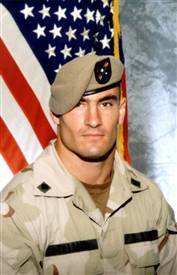 The brief historic summary is important in understanding why Pat Tillman did what he did. Your review points out one of the biggest questions in the book. What was in Pat Tillman’s journal and why was it burned and not returned to his family? This book was hard to put down and ended up giving me nightmares. It is so timely and a must read. Welcome, and thanks for your comment. I understood why bin Laden’s past was included but still found it dull and wanted to fast-forward to Tillman’s history instead. And the burning of his final journal incensed me.